One of the really hard challenges for lots of us is making friends when you have ADHD. We start out in Kindergarten all excited about school and if we are lucky we get a few new friends because the expectations are low and if we derp… well, nobody really notices. By Grade 1 we are sitting in our desks. This is really fun for about 5 minutes until we realize that we can no longer bounce around or talk when we want to. Exploring and playing start to go out the window. We’re smart and can’t help answering all the questions out of turn… and we don’t understand why this might be a problem. By Grade 2 the other kids are tired of us interrupting all the time. If you’re like me, you never get any real work done. Other kids begin to notice us for all the wrong reasons. This is where the friends thing really goes sideways. Kids with ADHD get a lot of negative attention and are labeled bad. Other kids start to make fun of us, tease or bully us for our difference. Teachers throw fuel on the fire by constantly and publicly bringing to everyone’s attention our behavior. We are forced to sit right beside the teacher or off in a corner so that they can in some way control us. In Grade 4, I was forced to stand for what feels like hours because I didn’t (couldn’t) write in my agenda. This happened at least once a week. The teacher singled me out, and not surprisingly it meant that no one wanted to be my friend. What were the other kids thinking? Grade 5 from all accounts is the worst year for most ADHD Kids in terms of making friends. We are with the same kids that know all our bad traits and the bullying kicks into high gear. 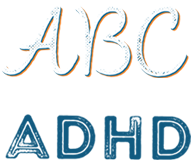 Controlling our emotions with ADHD is 10 times harder than for other kids so we find ourselves angry, frustrated, or even crying in public. It’s brutal. When it’s hard to make friends every year, we begin to wonder if we’ll ever get our own friends, or if our lives will always be lonely. The thing to remember is — it gets better. Hang in there. For me, things began to improve once I hit high school. Grade 9 was a real rough spot, but I was beginning to learn what was socially acceptable and how to control my behaviour a bit. I could see what kind of reaction other kids got from peers when they acted a certain way. I realized what was and wasn’t accepted. There were also more kids to meet, and some kids who were more like me. This year I’m a Junior (Grade 11) in High School. I’ve finally got a group of friends that I’ve been hanging out with for quite a while. We have a good time hanging out and doing stuff together. I’m a little more mature, and I realize what “not” to do most of the time now. School is a time to experiment and figure out what works and what doesn’t work — and this is true for friendships too. It’s where you learn. School doesn’t really have to shape your life, so if your friendships aren’t going so well yet… just keep trying and learn what works best. Don’t worry too much. I’m 99.9% sure that eventually you’ll find the people you fit in with. And in the meantime, you can always find a lot of us here who know what you’re going through.